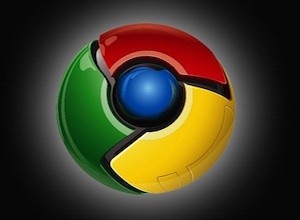 With their Chrome web browser, Google has always been obsessed with speed. And now they’re speeding up another aspect of it: how often stable builds are released. The goal now is to release a new stable version of the browser every six weeks — about twice as fast as they currently do, Google says. In other words, get ready for Chrome 6, 7, 8, and 9 coming soon. So why is Google doing this? Because they’re creating new features so quickly and they want to make sure all users get them as fast as possible. These quick iterations also will allow Google to have more firmly set schedules for Chrome. And as a result, project managers will be able to set realistic goals for amount of work that can be done by a certain time. But the most important thing that Google highlights may be the easing of pressure off of their engineering team. Under the old, longer release model, engineers would be pressured into trying to finish new features before a deadline or risk having them cut and not showing up for months. With the new release schedule, even if something isn’t ready to go in one release, it will only be six weeks until it makes the next one. Since we are going to continue to increment our major versions with every new release (i.e. 6.0, 7.0, 8.0, 9.0) those numbers will start to move a little faster than before. Please don’t read too much into the pace of version number changes – they just mean we are moving through release cycles and we are geared up to get fresher releases into your hands! Google does not that this six week cycle is “running under ideal conditions,” so it’s possible it may slip from time to time. Still, it’s pretty exciting how fast they’ll be iterating now. And even if the version numbers don’t mean much, the other browsers are going to have to make sure their users know that, or it may look like Chrome is running laps around them.